So the first of our Blitz of Jackie Chan games has arrived. And what a way to start! Meet Jackie Chan in Fantasy Mission Force, one of the first of many exciting games linked to the same Jackpot. The amazing Kaboom Feature might turn your 7 Free Games into unlimited Free Games. The vivid art takes you right into the middle of the action in this 1980s cult classic. Jackie Chan in a throwback to the 80's all action kung fu movies. It's also one of the first of a number of exciting games linked to the same Jackpot. You can play "Fantasy Mission Force" in all versions of our software. Don't forget "Fantasy Mission Force" can be played in Instant Play, Mobile, and Download. 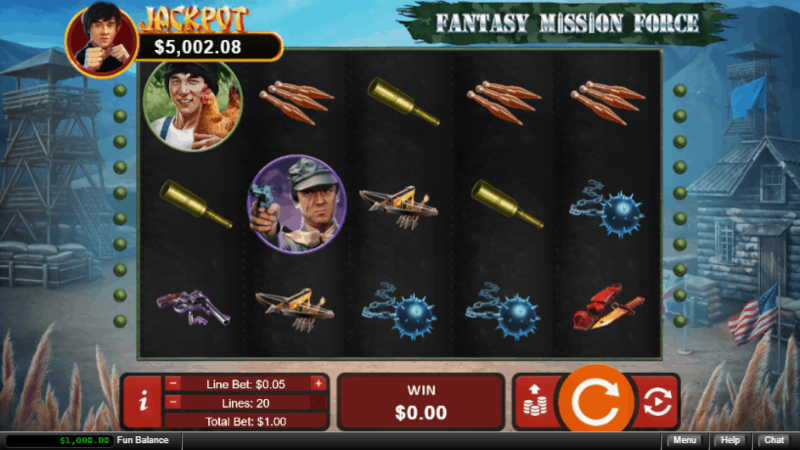 Receive 100% Match Bonus + 10 Free Spins on "Fu Chi"
Play through deposit and bonus 20x on given games only. Can be claimed 5x - once per day. 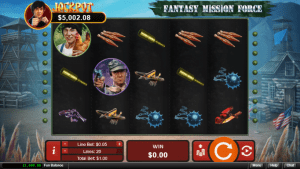 Receive 100% Match Bonus + 10 Free Spins on "Fantasy Mission Force"